She says the bloom in the lake presents an interesting research opportunity to learn more about algae blooms, and the impact local runoff plays in their formation. 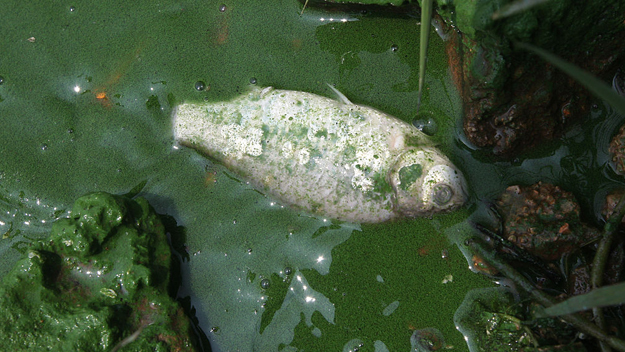 For now, the only presumed source of the high amount of nutrients, which cause algae blooms, is nearby agriculture. However, there is no solid evidence to prove those beliefs. Widder wants to do more research surrounding the biosolids, or biosludge, used on the nearby Pressley Ranch. "In this case, there's a potential smoking gun in the form of biosolids... They have dumped an insane amount of biosludge there since 2013," Widder said. Widder said more than 22,000 tons of biosolids have been applied to the land at Pressley Ranch since 2013, abundant in Nitrogen and Phosphorus. Widder's research wouldn't only benefit the people who live around Blue Cypress Lake. She says communities to the south could also learn more about how agricultural runoff might feed algae blooms in the Indian River Lagoon. "We'd like to make a very clear connection between the bio-sludge and the algae bloom," Widder said. Indian River County Commissioners will be discussing the condition of Blue Cypress Lake at the commission meeting Tuesday.